FPIES & Mud Pies: Our Boys, Our Journey, Our New World...: If he doesn't eat formula, what does he eat? FPIES stands for Food Protein Induced Enterocolitis Syndrome and our youngest son has it. This blog follows his story on this journey: our challenges, our triumphs, our adaptations as we navigate through this new world created by FPIES. Little Man's Diet and Recipes! Your baby continues to get sick from the very foods he is supposed to thrive on. I did. I am a mom of a little boy just diagnosed with FPIES. And that burning feeling now? Extinguished. My instincts? Stronger than ever. Guiding me, with my faith, as we navigate through the murky waters of our new world created by something called FPIES. If he doesn't eat formula, what does he eat? I get this question a lot when I simply say, he is allergic to food....and can't even have formula. It usually takes a minute for this to set in, I can see the wheels turning- trying to process what a baby on no foods could survive on if not breast milk or formula. I think it is harder to process because they are looking right at him, he doesn't look like he's starving? is what they probably want to say! I don't let them suffer for long, I continue on....he is on a hemp milk formula I make for him. It is not complete nutrition but he is not allergic to it, he has grown and gained weight on it and thriving developmentally. And...he loves it! I began the process of making my own formula for him when I discovered he was sensitive enough to react to the elemental formula's, that by giving up nursing to put him on an elemental formula- I had made him more sick.....an FPIES moms worst nightmare. It is rare, but it can - and does- happen. Little man is not the only one, and with the growing number of people discovering that corn is at the root of their illness, it is my hope that one day there will be a corn-free elemental formula. But as of today, there is not. So, I must make one...it was the only way to take away his daily pain, his random vomiting sessions, his terrible diapers, his colic and gas-disturbed sleep. And not only that but to add in increased intakes, and healing. Hemp milk has provided this for my Little Man. It has taken months of tweaking, and while the formula is now at ~22cal/oz; and meets all his macro nutrient needs (macro nutrients are the bulk of our diet- calories in the form of carbohydrates, proteins and fats); it is still lacking in some micro nutrients- mainly B vitamins since Hemp is a plant protein, but also a few others (micro nutrients are vitamins and minerals). When starting the formula, our goals were to just make sure it was adequate in macro nutrients and that it is. The ingredients of this formula to meet those macro nutrients needs? 1. Hemp milk is the base with Hemp high protein powder for added protein. Hemp is a super food. For an article on the benefits of hemp: Hemp Seed. 2. Safflower oil provides a low-allergenic fat source. 3. Arrowroot is a well-tolerated starch. Although well tolerated, little man does not tolerate it in the starch form, I have to make it into a syrup. His formula is adequate but not optimial. Micronutrients would make it optimal. Where do we get the micronutrients from? His diet....but we have been unable to give him the tiny menu to do this. This blog is the sharing of our personal story of FPIES and the specific accounts, details and perspectives about how FPIES affects our Little Man. 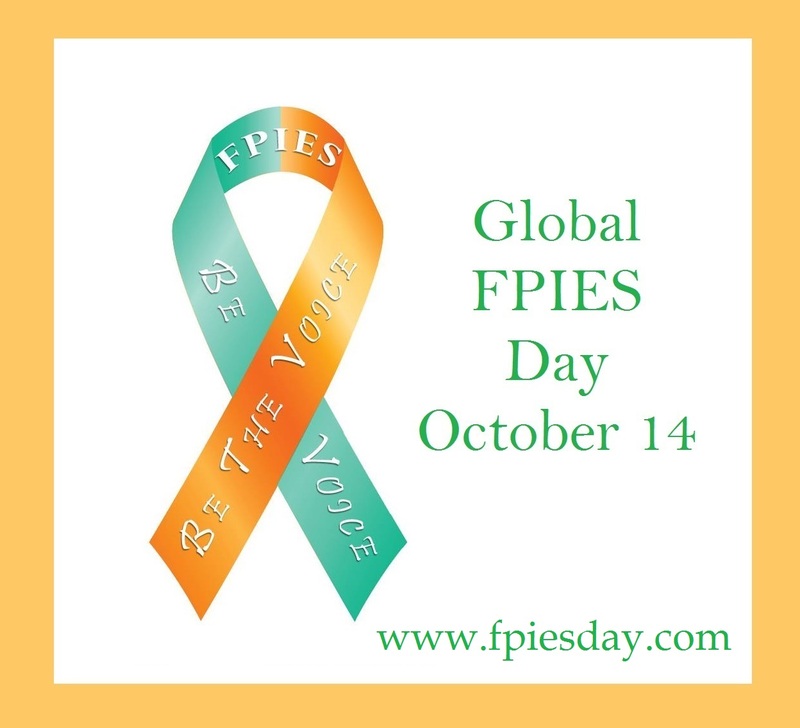 FPIES is a syndrome and can present with a spectrum of symptoms. A medical team familiar with FPIES can help with the specific needs from symptoms that present in your child. Information shared here does not represent the views of any organization I may work for or be associated with, and should not replace your own instincts or the advice of a doctor knowledgeable in FPIES. In my own words...FPIES is a severe delayed food allergy of the gut, it is understood to be a T-cell mediated response, a Non-IgE Food Allergy in which food is considered a foreign invader and the body fights, or attacks it, until it can violently expel it; although the exact mechanisms are still not well understood. Symptoms include: profound vomiting (often to bile), diarrhea and/or constipation. These symptoms can quickly lead to: lethargy, low body temperature, low blood pressure and in severe cases, sepsis-like shock. And still yet, many parents report children also experiencing many discomforting symptoms while the body fights this reaction and these can include: extreme stomach pains, excessive gas, runny stools with or without mucus/blood, acid reflux, rashes/eczema, sleep disturbance, and agitation/inconsolable crying. FPIES is a clinical diagnosis (based on symptoms and history) there is currently no test for it. *Read more of our story in this blog, or my personal research in my FPIES File Cabinet. Nutrigenomics...we really are what we eat. Happy Second Birthday Baby Girl!! Make Your Voice Heard. Join The FPIES Patient Registry Today! Guess who is 11 months old??? Welcome To Our Crazy Family- & FPIES Too! CaringBridge / Thanks for visiting. You're almost to Jaeger Harrison's website.